With an estimated population in 2014 of 200,710, including the towns of Eliot, Berwick, Kennebunk, Kennebunkport, Kittery, Ogunquit, Sanford, Wells and others, York County, Maine was the second most populous county in the state. Many vacationers head to the popular beaches in Ogunquit and Wells in the summer months. Locals are familiar with the home of former president George H.W. Bush in Kennebunkport. Most municipalities which use ground water for their water supply have their wells in sand and gravel aquifers. 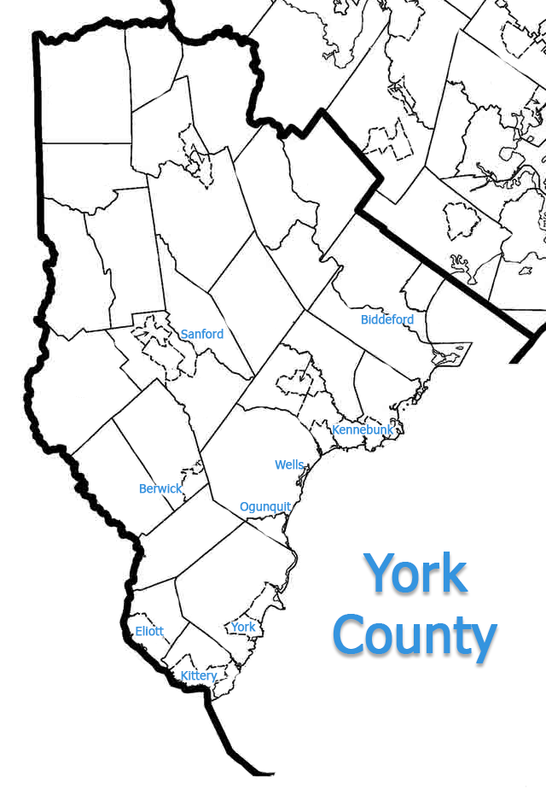 Many industries also utilize sand and gravel aquifers for their water supply, and a majority of homes in York County using private water supplies have point or dug wells in sand and gravel deposits. Bacteria and viruses can get into well water if the well casing is damaged or if you have a dug or shallow well. Arsenic, radon and uranium get into Maine wells from nature. They’re in the rocks and can dissolve in water. Lead from older pipes can also dissolve in water. It is important to have your private well tested on a periodic basis to make sure these contaminants are not at actionable levels. You can either call a local state certified lab and follow their instructions in getting a valid water sample for them to test or you can contact a water treatment provider to assist you in the process. A list of Maine Certified Labs can be found here. In addition to Arsenic and Radon in water, many homeowners have installed water filtration systems to remove iron from water, manganese from water and also pH Neutralization systems to combat acidic or corrosive water. Removal of MTBE from water, a gasoline additive that can reach well water from leaky storage tanks has also been an issue in certain areas.